Sparrows are busy playing Catch and Escape in the balcony and performing acrobatics outside the window of our room. They seem to be doing everything on the move including feeding, biting and even making love. The sporty chirrups of the sparrows have filled my ear with wonder. I wake up rubbing my eyes and immediately step out of my bed to slide the curtains and catch the morning rays of the sun. 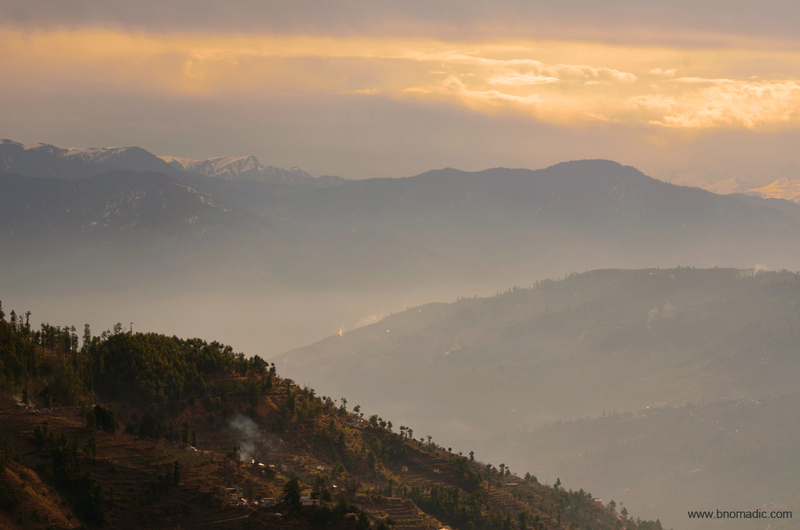 It’s cold outside and standing in my boxer shorts, I watch in awe as the morning sun rose to shower the wide Himalayan valley with its golden hues. 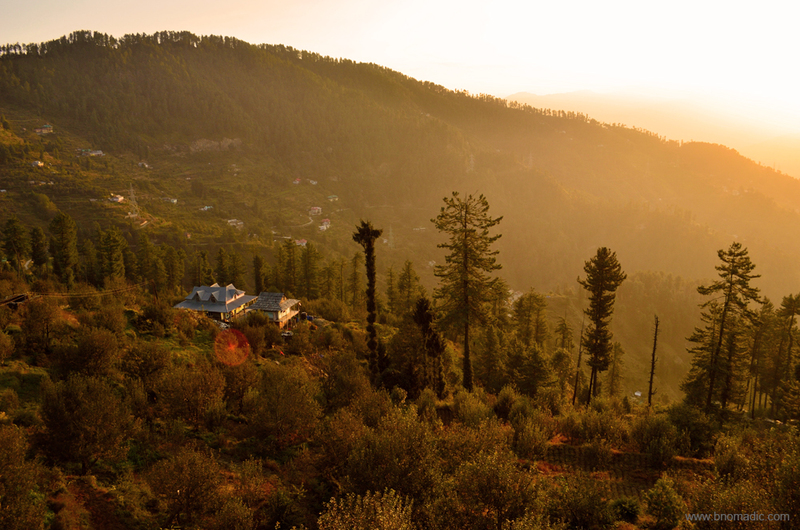 I watch in awe as the morning sun rose to shower the wide Himalayan valley with its golden hues. I open the balcony door and let the morning chill visit the interiors of the room. The breeze in the pines and deodars hums and moans, but in the apple orchards it rustles and makes cheerful conversation. The glowing green and rusty red apples make for a cheerful sight immediately below the balcony. With sunlight filtering in through the trees, the fresh smell of moss and moisture permeates the air. With the dusty drive of the previous day behind us, I feel totally rejuvenated. The sun is about to light up the valley below me. An occasional leftover of the cloud from previous evening, glitters to make the skyscape even more surreal. Splashing water from a nearby creek looked like an explosion of diamonds in the morning light. Except for the sound of water, everything was silent and peaceful. The sun is rising behind the rocky peaks in front of me, slowly painting the valley in hues of pink, magenta and red. Sitting there in the cold morning, warming my hands in my armpits, I feel a spiritual closeness with the Himalayas. I thank the powers that are responsible for allowing me to witness this grand spectacle of nature. The golden rays are swathing over the Apple Valley. Kharapathar (2615m) may not have been the perfect choice to witness this morning manifestation of a dream, as there are places more lovely elsewhere in the Himalayas, but in many ways it suited us as a brief stopover on our way to the mysterious Rupin Valley. Without giving any serious trouble of driving up from the plains, Kharapathar has instantly transported us into the solitude of the mountains. 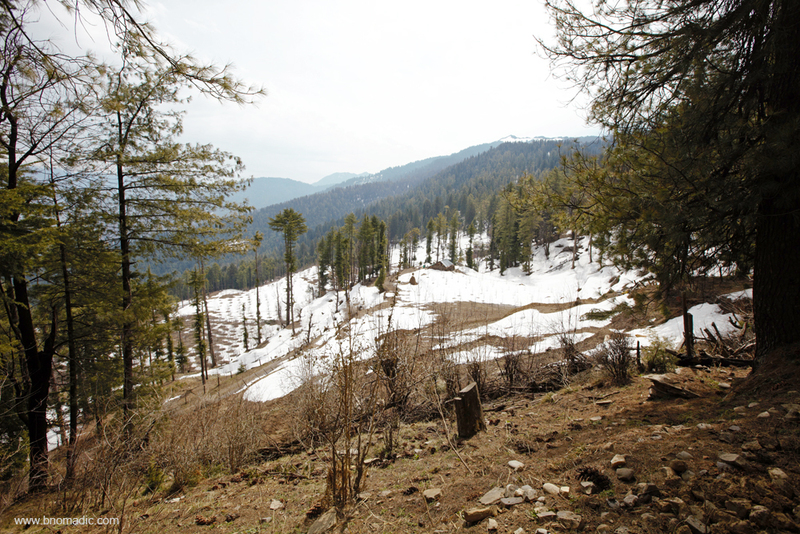 The hillside may see a lot of snowfall in peak winters but in October it has a mix of wild flowers, apples and massive pines and deodars to charm the visitor. 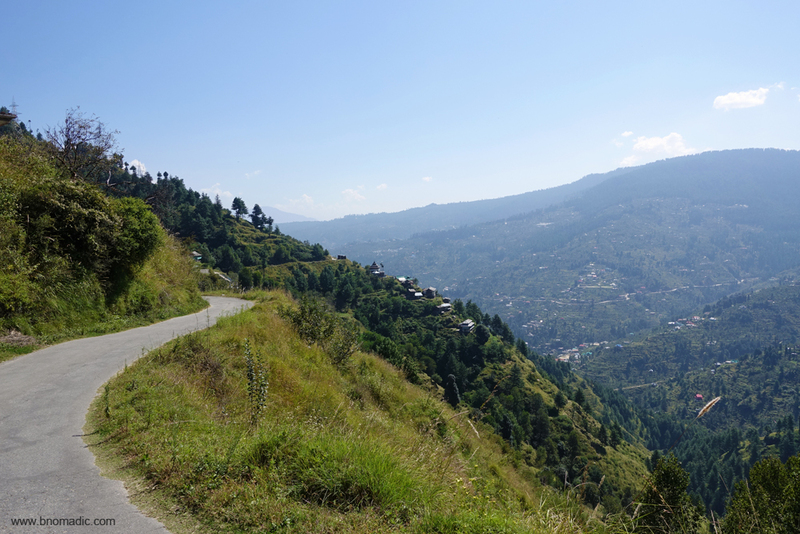 Lush forests, encompassing landscapes, refreshing walks and hike trails, all within a couple of hours drive from Shimla! Compared to what we experienced in the previous spring season, the room we had been allotted at the HPTDC property this time had rather a spooky atmosphere inside. The drip of water in the bathroom, fungus infected curtains, dampness on the walls, inky carpets and light cunningly kept low so as to hide everything from the visitors. We were a happy lot still. Normally, I would stay up into the early hours, reading and planning next day’s advance but then this time we were very particular to get up early. And that decision clearly shaped our daily routine on this trip to our advantage. Only basic items are available from the elaborate restaurant menu card of the HPTDC. 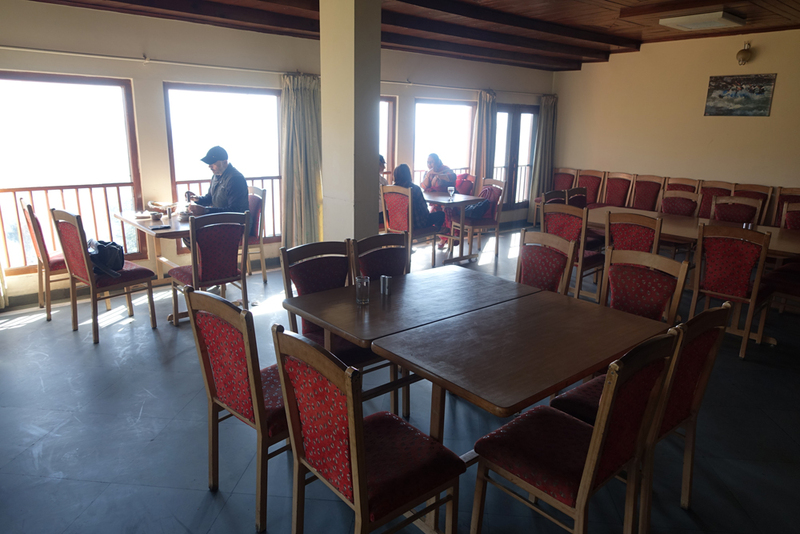 After breakfast we leave for the hike to Giri Ganga temple (2836m). 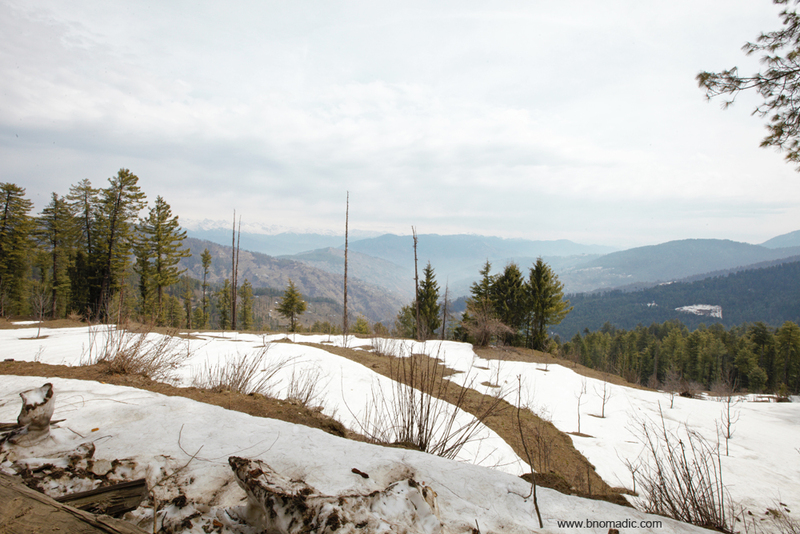 We are very keen to complete the hike this time as previously our march up the hill was stopped by large amount of winter snow which was yet to melt. 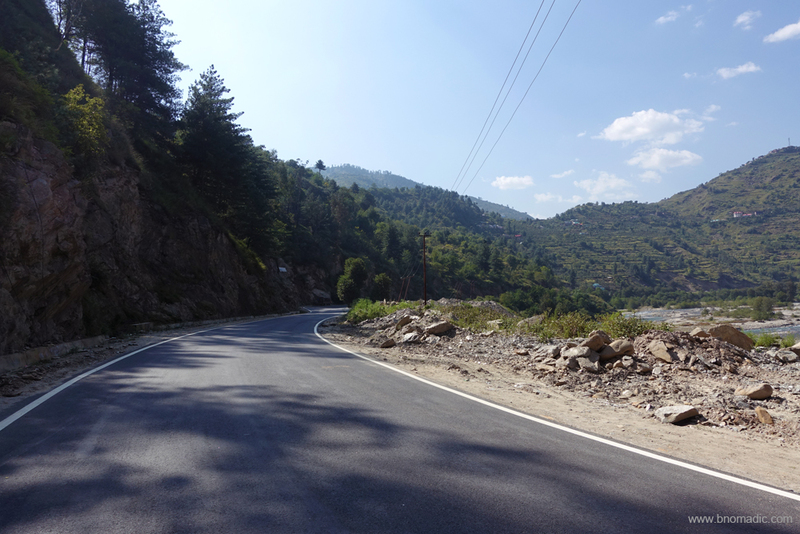 We park our vehicle mid-way of the 7km narrow and kutcha motorway, to the Giri Ganga temple site, which leaves the Hatkoti-Kharapathar highway slightly ahead of the HPTDC property. 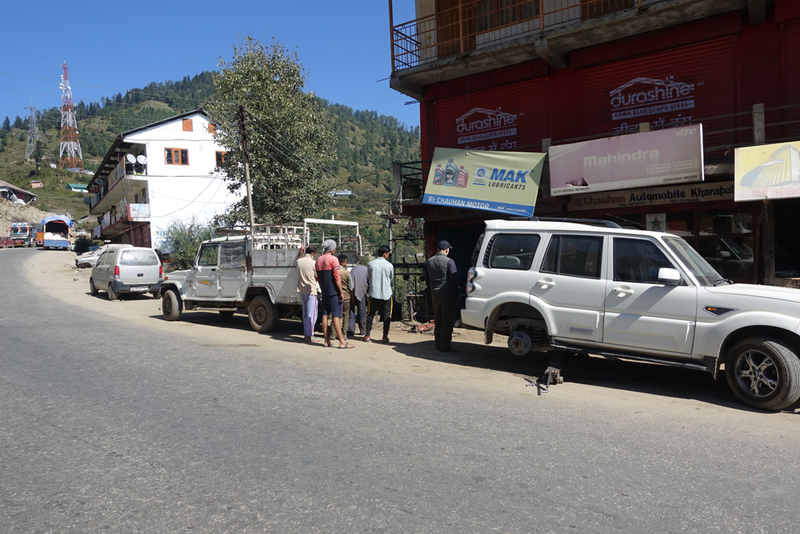 On our return we discover that the point where we had parked our vehicle was precisely the same site from where we took a u-turn on our previous attempt. 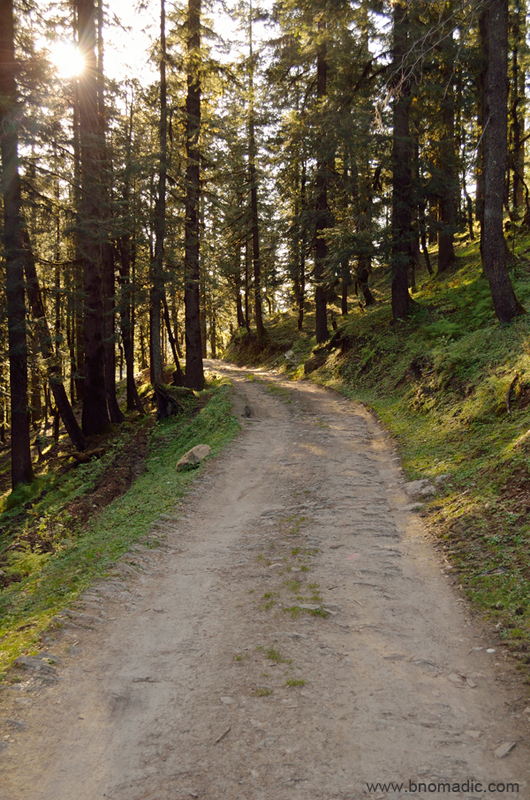 The trail passes through a densely wooded Deodar forest that is swarming with active birdlife. Hearing a monotonous squawking ‘pee-ouh, pee-ouh’, I spot a barbet. The Great Barbet is one of those birds which are heard more often than they are seen. It keeps to the tops of high trees, where it is not easily distinguished from the foliage. Unlike most other birds, barbets are noisy all the year round. The familiarity with the call reminds me of my occasional evening walks at Sukna Lake in Chandigarh. Up here in the mountains, legend has it that the bird is a reincarnation of a money lender who died of grief at the unjust termination of a lawsuit. Consequently, a barbet’s call continues to be interpreted in many ways. 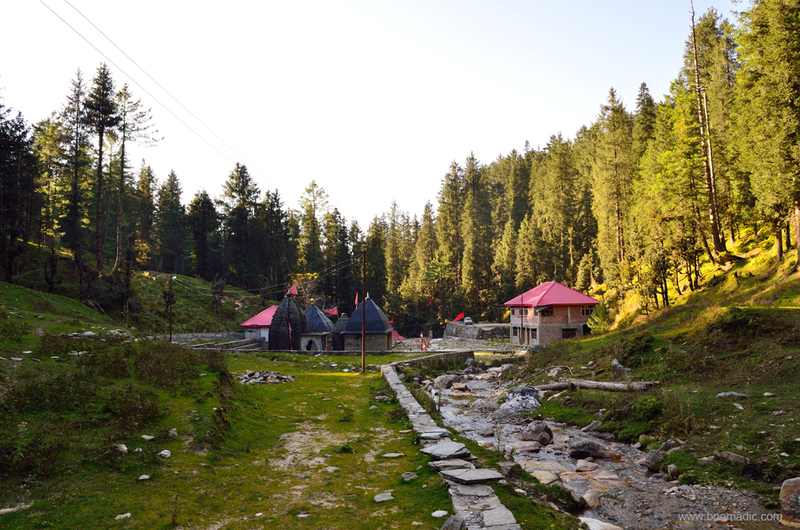 The hike to the temple site is more rewarding than the site itself which is dotted with a few modern but displeasing constructions and garbage dumps alongside the stream. 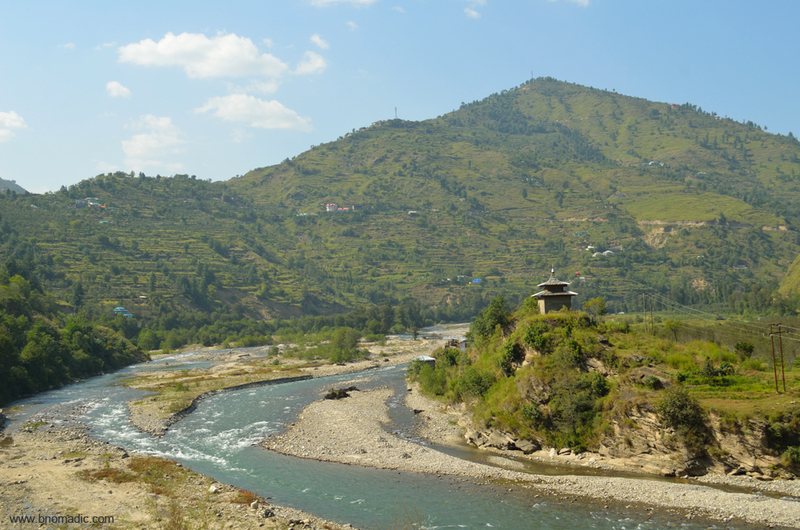 The river Giri (also called Giri Ganga) originates as a small stream just below the Kuppar peak and subsequently pours its waters into the mighty Yamuna upstream of Paonta Sahib after passing through Chail and Sirmaur in Himachal Pradesh. Literally meaning the fallen Ganga, legend has it that the Giri was formed after sages brought Ganga jal here from Haridwar. 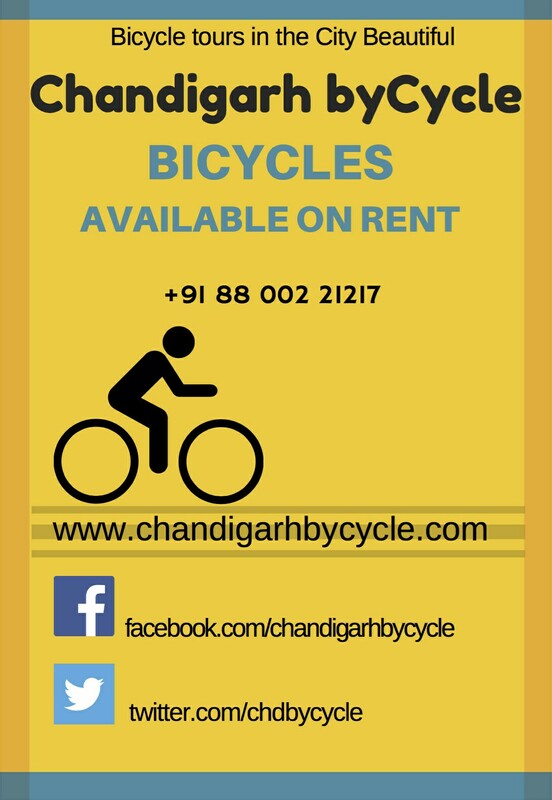 Therefore, today, the site is considered to be as holy as Haridwar. Literally meaning the fallen Ganga, legend has it that the Giri was formed after sages brought Ganga jal here from Haridwar. We planned to be back at the base before the end of the day. At the hotel, a group of travellers from West Bengal was anxiously waiting for us to return and hear our stories from the day. I patiently recollected every required detail of the hike to their utter satisfaction and pleasure. 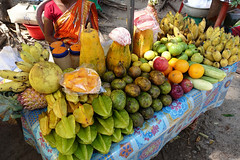 “Prefer to take a walk and carry enough water and supplies to last half a day”, I suggested. 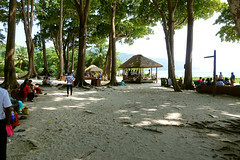 The shaded walk and gradient is quite easy on the knees and not strenuous at all. 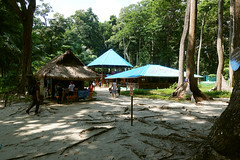 The olden temple complex comprises three shrines and a cottage. 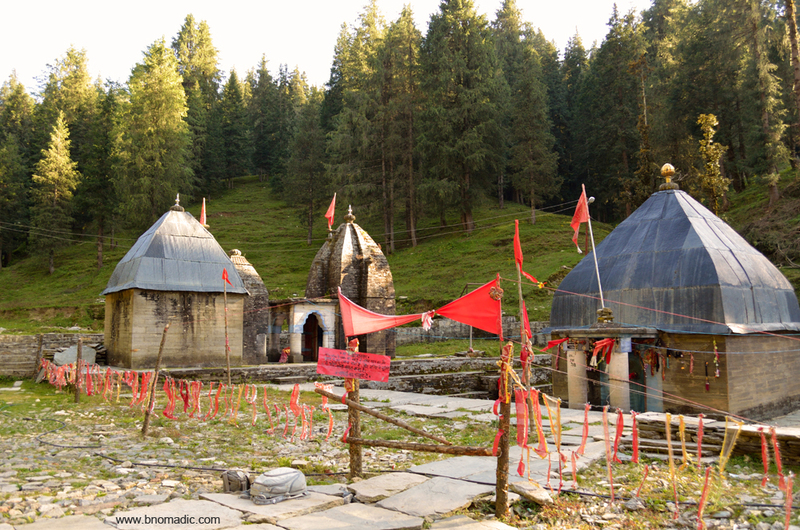 Positioned inside the small water pond, the conical shaped main shrine is dedicated to Goddess Durga. Facing each other, the other two shrines are placed above this pond. 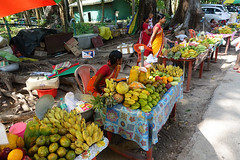 One of these shrines has the idols of Rama, Laxmana and Sita. The other one has a marble Shiva Lingam inside it. 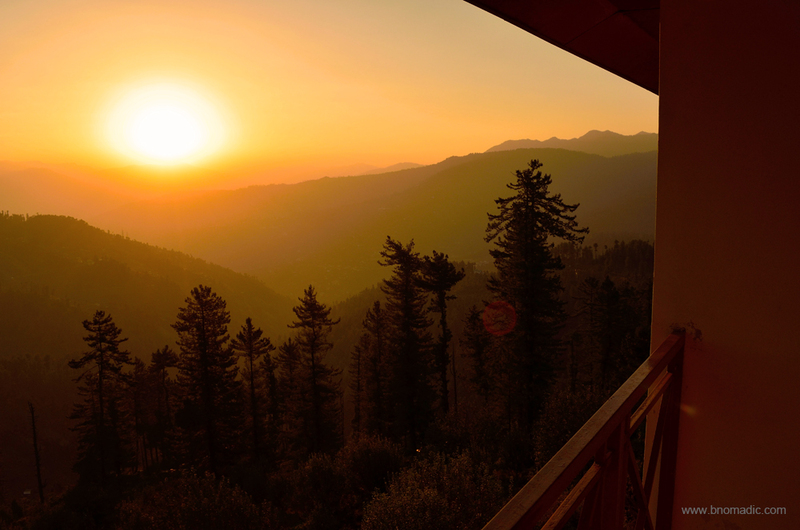 Later that night, the calm of the starry Himalayan sky invite me to the balcony for a mug of chamomile. I sit back and observe the nightscape. Over the years, the night has become my friend. On one hand, it gives me privacy; on the other, it provides me with limitless freedom. The night sky full of countless twinkling stars, a near full moon at one end, rocky shadows and ice reflections – something a dreamy nightscape is made of. 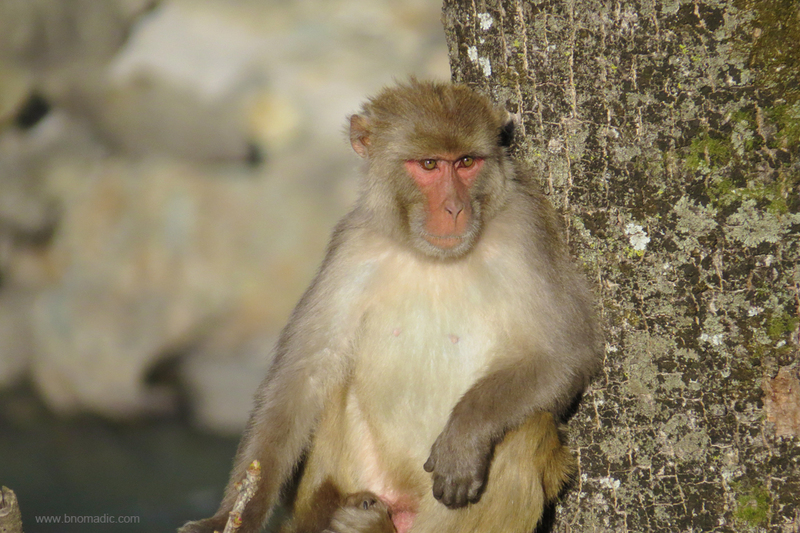 No emotion or expression could do justice to the feeling of contentment in the complete embrace of the Himalayas. 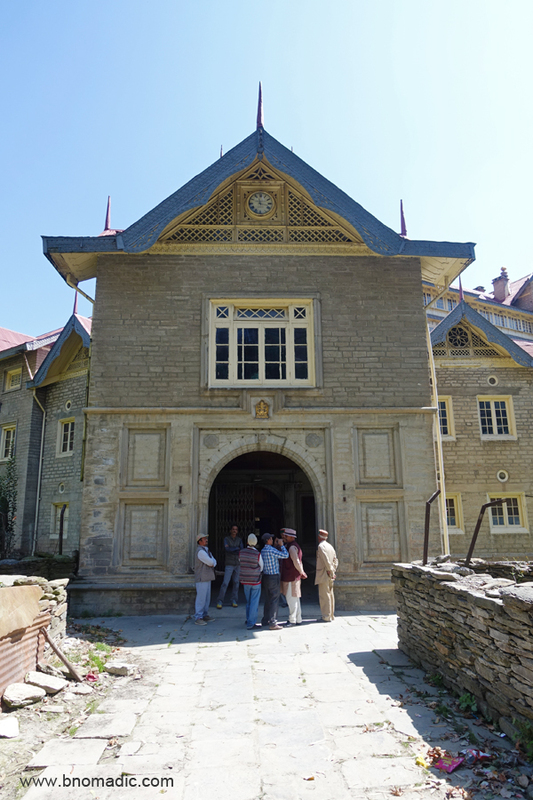 Next morning, we plan to visit the Jubbal Palace on way to Rohru, our motorbase to climb the Chanshal. 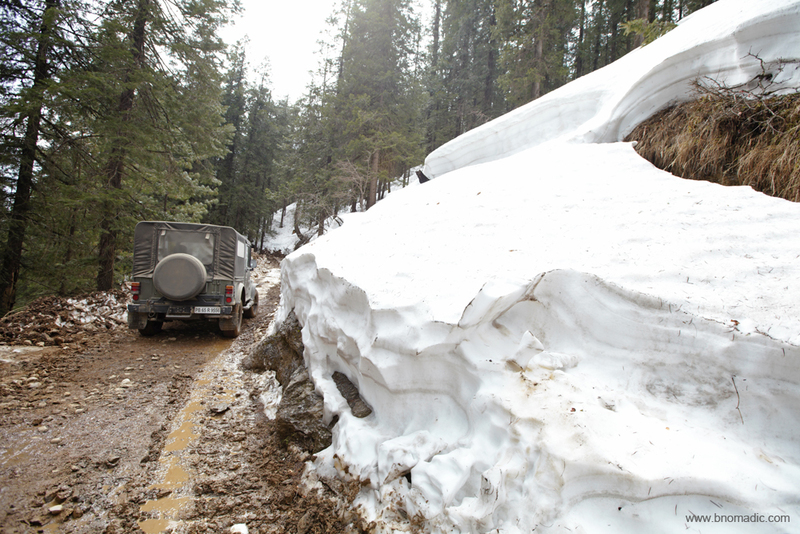 The receptionist tells me that a landslide has blocked the highway to Rohru via Hatkoti. 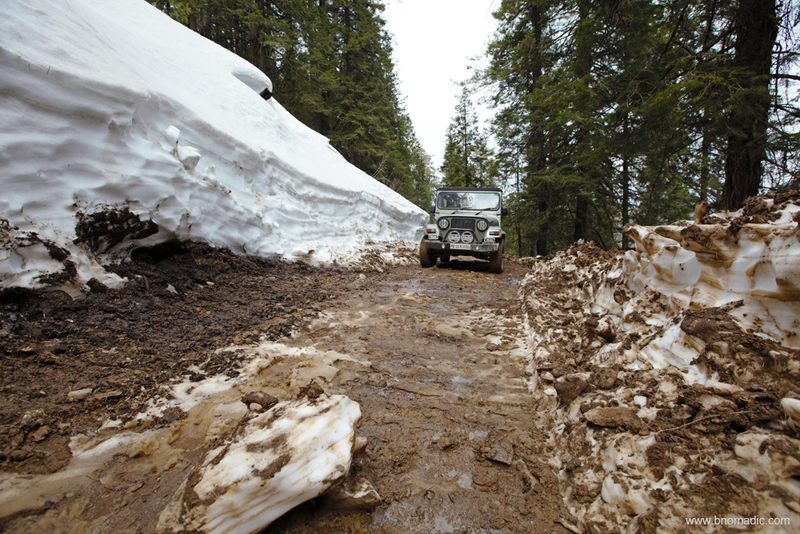 We will have to take an alternate route which is a bit narrow and bumpy. 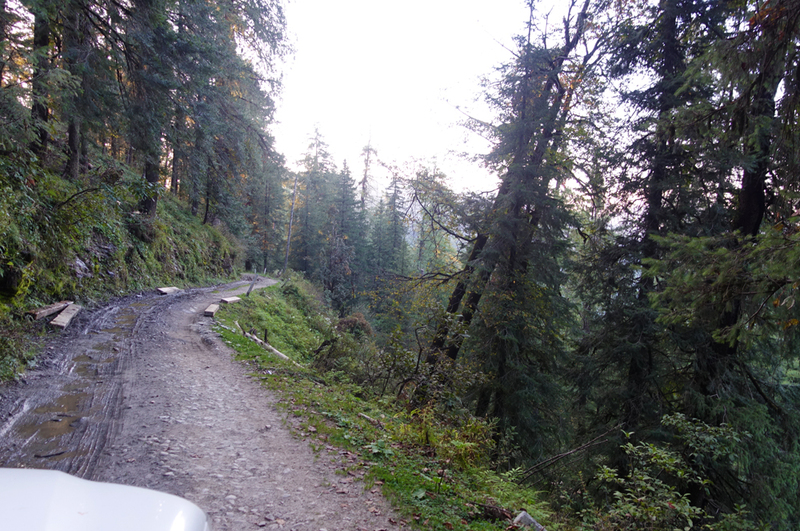 It is also the end of apple harvesting season in the valley which means there will be load carriers too on the narrow link road to Rohru. 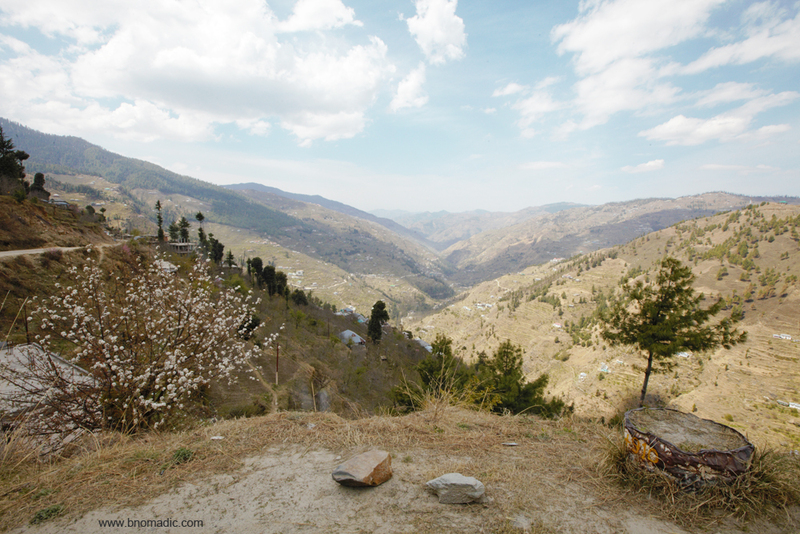 The Kotkhai and Jubbal valleys are one of the few valleys of Himachal Pradesh that produce good quantity of apples. The red roof of the newer Palace is visible from the balcony of HPTDC property. We reach the older Jubbal Palace (2037m) first. 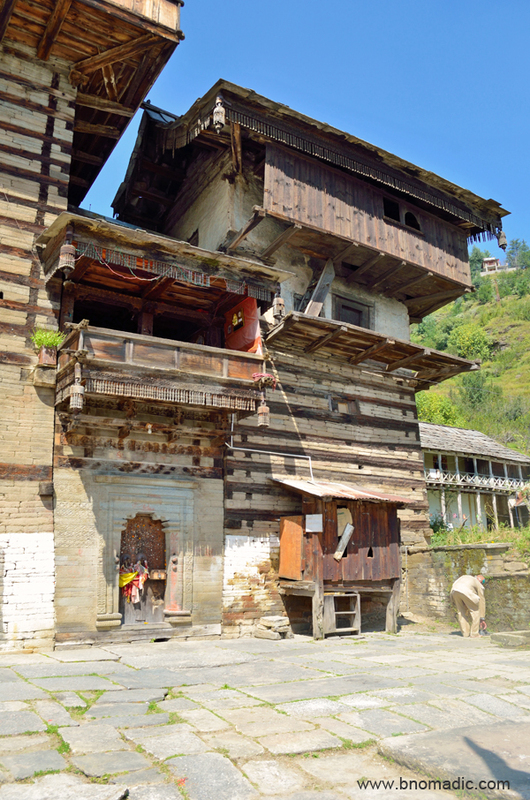 Now in a total dilapidated state, the Palace still houses the royal family temple which is entirely made of wood. A delegation from Chaupal, a constituency earlier represented by the Raja of Jubbal in the Himachal Vidhan Sabha, has come to visit the temple premises. The temple priest is totally reluctant to allow them an entry. The group heads towards the newer Palace to meet the Raja. We too join their company albeit in parallel. 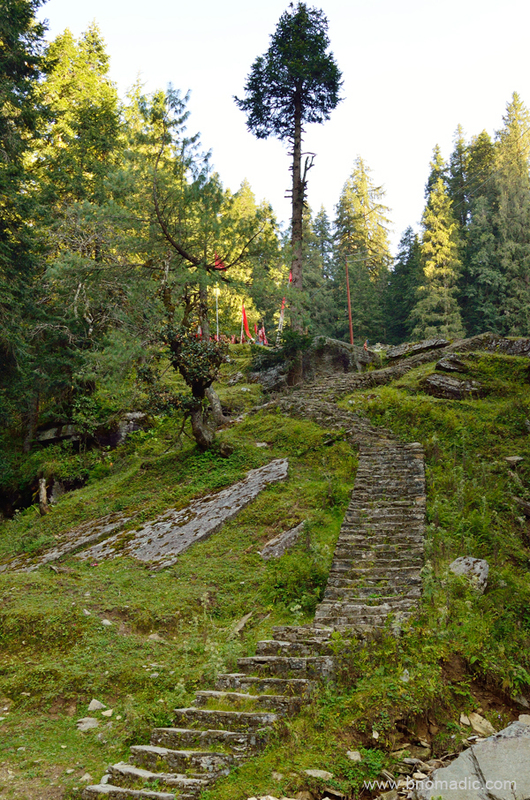 Claimed to be founded around 1100 AD, the Jubbal State lies east of Shimla between Sirmaur and Rampur-Bushahr in a very beautiful and well wooded valley. 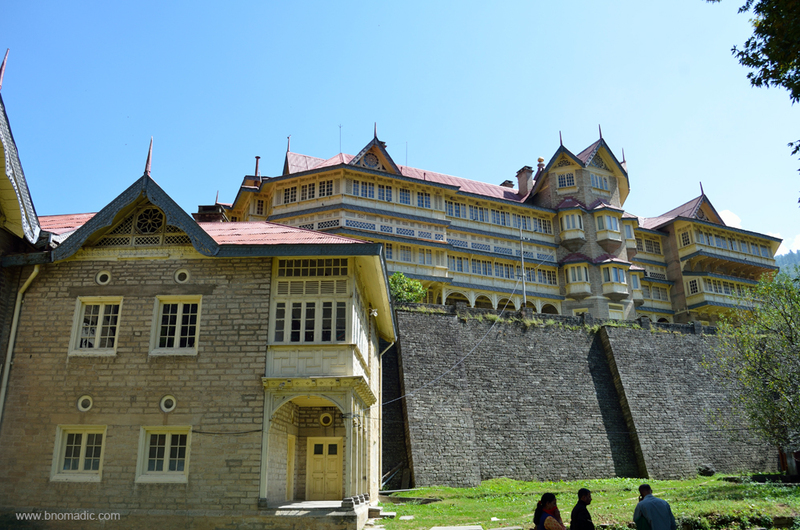 In the nineteenth century, the royal family derived their income largely from the sale of timber helping the Raja become the richest of the hill chiefs with a house ‘Hainault’ in Shimla. Before 1918, the ruling family used the title of Rana after which the British conferred the title of Raja to reward their loyalty towards them. The new Palace of Jubbal (1931m) designed by a French architect in 1930s, is situated a kilometre ahead of the original one. I park our vehicle just at the entrance to the grand Palace. The entry inside is very restricted and even the delegate from Chaupal, Raja’s voters, couldn’t get an access. 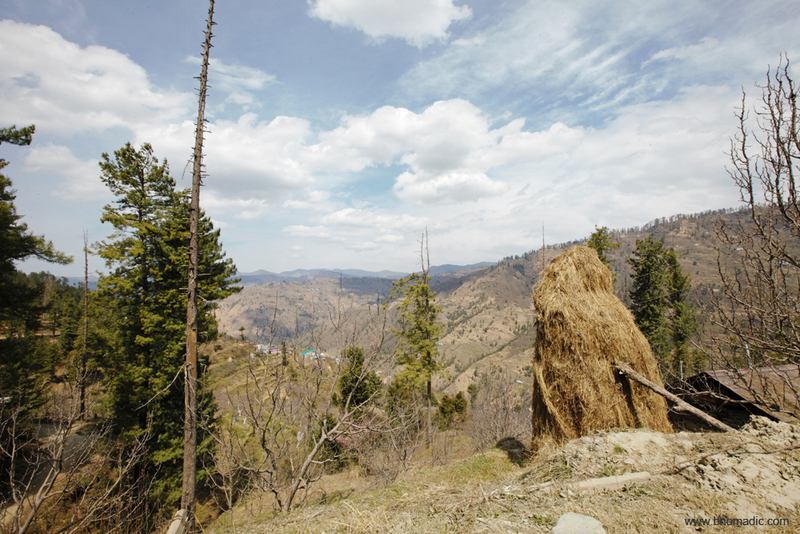 We spend a few more minutes in making a few photographs and leave the premises to reach Rohru just in time to secure a late lunch. 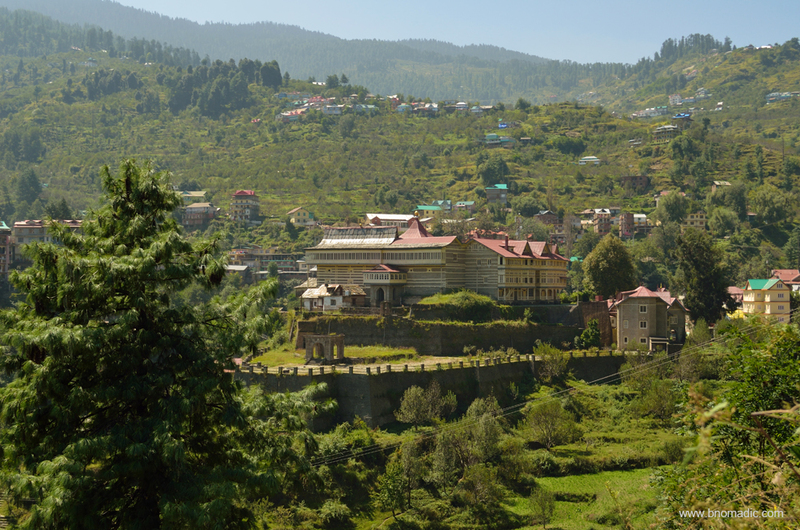 The hill-station of Kharapathar is 77 km from Shimla via Theog and 23 km from Hatkoti. 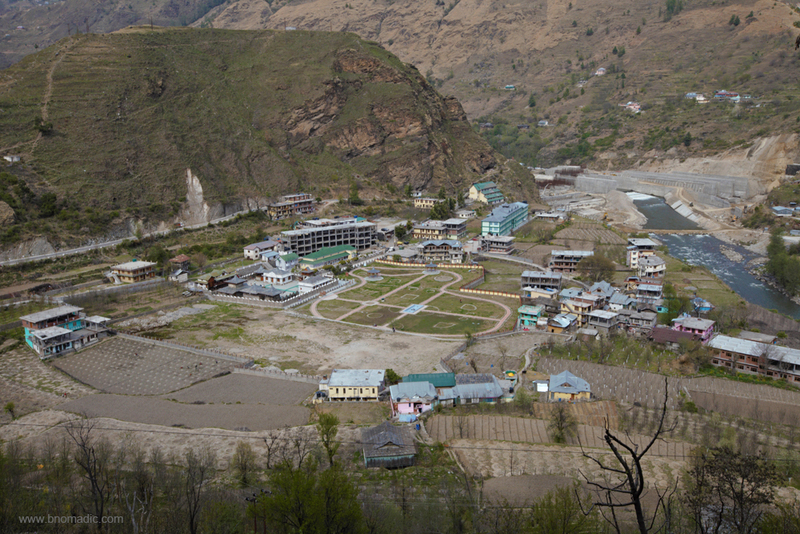 The distance between Hatkoti and Rohru is 11 km. The approach from both sides is fairly easy. 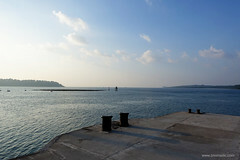 The road distance between Kharapathar and Giri Ganga temple is 7 km. 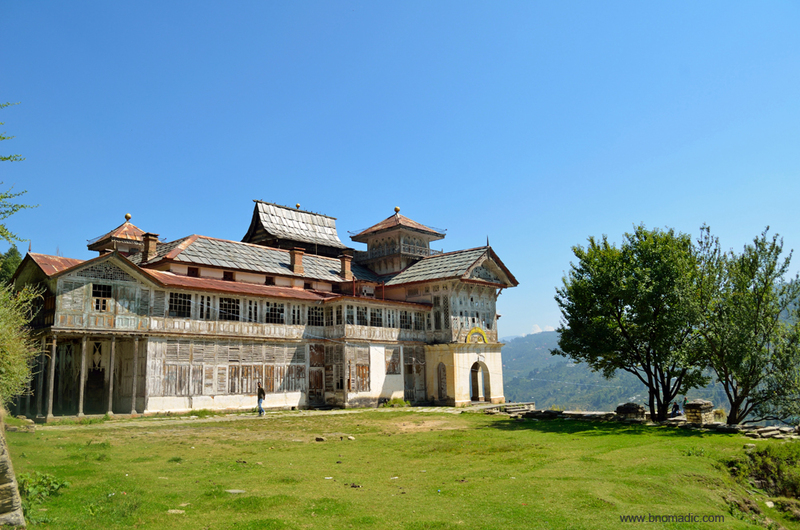 The Jubbal Palace is nearly 10 km from Kharapathar. Great start of what seems to be the first of yet another series! Beautiful and detailed description made me feel like being in the place. Nature in hills has such calming effect.